Our new, patented linear CEOLiT is designed for accurate measurement of carrier envelope offset phase (CEP) drift of an ultrashort pulse train. The basic principle is that the spectral transmission of an ultrastable transmission ring with appropriately chosen length uniquely depends on the CEP drift of the pulse train. Since the technique is fully linear CEOLiT provides a unique possibility to explore CEP drift of weak pulses at extreme wavelengths from VUV to IR. Moreover, the bandwidth of the light pulses can be considerably narrower than an octave. 1)Depends on the specifications of the spectrometer. 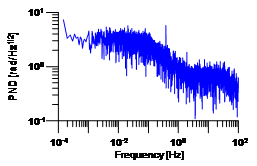 The displayed value is for valid for spectrograph with a spectral resolution of 0.3 nm and center wavelength at 800 nm. 2)For other repetition ranges, please contact CE Optics. 3)Depends on the set of mirrors and beam splitters chosen for the given pulse train.